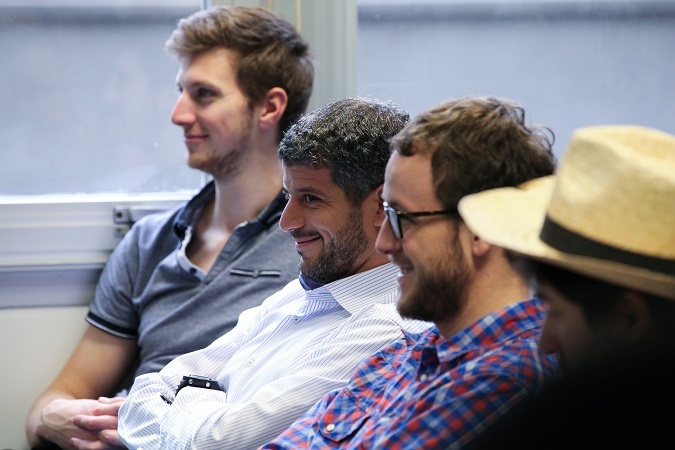 CENTREON SAS, a simplified limited Stock company with share capital of 500.000 €, registered in Paris under the number RCS 483 494 589, with registered office located at 46/52 rue Albert, 75013 Paris, which SIRET number is 483 494 589 00045 and which VAT Registration Number is FR02483494589. 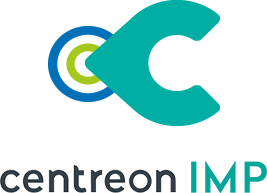 You can visit the Site to obtain information on CENTREON and its products and services without sharing any personal data. CENTREON may collect your personal data when you download content from the Site and/or when you test free software proposed. CENTREON also collects your personal data if you register to receive our newsletter or if you request information using our contact form. The creation of a user account requires that you share personal data with CENTREON and this is mandatory. Users undertake to fill all mandatory fields of the form and to share with CENTREON personal data that is necessary to create a user account and provide the software and services. 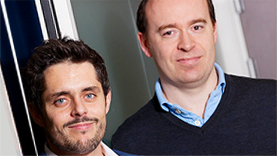 Users undertake to communicate personal information that is accurate, complete and up to date. CENTREON collects personal data that you share to download content and/or test free software, when you register to receive our newsletter or request information. In order to create a user account and facilitate the processing of orders, you will need to share with CENTREON certain information relating to you, such as your name, surname, phone number, email address, address, place and date of birth. CENTREON also collects any personal information that is necessary for authentication purposes and information relating to transactions, invoicing and delivery of orders and those communicated by users during performance of support services or those necessary to resolve any dispute. Personal data is voluntarily shared by you and is necessary to create your user account and processing of your orders and may be shared with providers of CENTREON providing services that are necessary for the processing of your orders. 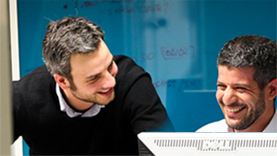 Personal data collected automatically via cookies: When you visit the Site, your operating system, your IP address, the date and time of access/session, your web browser and language preference are automatically registered with your preferences and more generally your behaviour on the Site and information relating to your orders. To improve the Site, CENTREON also performs statistics and analyses aggregated non identifying data relating to the use of the Site and statistic information on traffic to administer the Site and improve its functioning and features. A cookie is a small text file composed of letters and numbers that servers put on users’ web browsers as they surf on a website. When you visit and use the Site, cookies may be registered on your terminal (computer, mobile, etc.). This section allows you to better understand how cookies perform and how to manage your preferences. A cookie is a text file that may be registered, subject to your consent and preferences, in a dedicated space on the hard disk of your terminal when you visit our Site via your web browser. A cookie allows the issuer to identify the terminal on which it has been registered during the time the cookie is valid or registered. Only the issuer of the cookie may read or modify information captured. When you connect to our Site, CENTREON installs, subject to your consent and preferences, several cookies on your terminal. – to measure audience on the Site and perform statistics analysis using Google Analytics and analyse traffic data and use of different pages/sections of our Site and improve the functioning and features of our Site and services. By continuing to browse on our Site, you consent to the use of these cookies on your terminal. If you do not want to accept cookies relating to your use of the Site, you can delete them or refuse them or simply stop using our Site. If you would like to deactivate Google Analytics, you can download and install a complementary module developed by Google for your web browser by clicking here https://support.google.com/analytics/answer/181881?hl=fr . CENTREON uses your personal data collected on the Site to administer the Site and create and manage your user account, process your orders, respond to your requests, complaints and resolve any dispute, and more generally, in the context of customer relationship management with users. CENTREON uses your personal data to personalize and improve its products and services. With your prior consent as necessary, CENTREON may also use your personal data to communicate with you on its products and services and to send you newsletters, promotions and/or events information. CENTREON uses your personal data if you choose to participate to a survey, customer satisfaction analysis, market study or contest or to test products. Your personal data is collected and retained in a way that is tailored to the nature of data collected. CENTREON may share your personal data with third party providers providing services, notably payment services, delivery services and client services. CENTREON requires that these processors undertake to keep your personal confidential and do not use your personal data for any other purposes that for providing services to CENTREON. CENTREON may share your personal data with third parties for their own purposes such as targeted marketing. CENTREON may share your personal data when it is required to do so under applicable law or to comply with legal proceedings, a court decision or any other administrative or judicial proceedings. In the event CENTREON would change its corporate structure, whether by merging, acquisition of another company or following a sale of part or all of its share capital or assets, CENTREON reserves the right to transfer your personal data to the entity resulting from such change in its corporate structure. Personal data of users are hosted on servers within the European Union. Your data are not transferred outside the European Union. CENTREON retains your personal data only as long as necessary and will only use your data to comply with its legal obligations, to resolve any dispute and comply with its contractual undertakings. Data collected by cookies are only kept for a two-year period. This site is protected by physical, administrative and technical measures implemented to maintain security, confidentiality and integrity of personal data collected by CENTREON and to protect them from loss, abusive use or alteration. However, although CENTREON takes reasonable precautions against a breach of security of its Site, its databases and users accounts, the integrity of a website may not be warranted and thus, CENTREON may not warrant the security of your personal data transmitted online. As a consequence, users acknowledge that it is important that they protect themselves against unauthorized access to their terminal, notably by ensuring the confidentiality of identifiers (login/password) defined upon the creation of their user account. 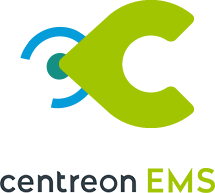 If you have any question relating to the security of the Site, you can contact CENTREON by email at: contact@centreon.com. You may at any time oppose to the processing of your personal data for marketing purposes or exercise your right to access and update your personal data. Users can also oppose to the processing of their personal data by CENTREON on legitimate grounds. These rights may be exercised by contacting CENTREON by email at contact@centreon.com. In order to protect your privacy, CENTREON will take appropriate measures to verify your identity.